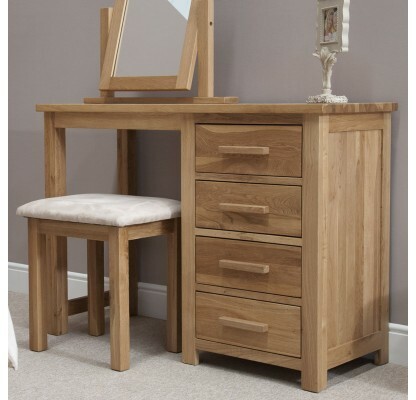 The Opus Modern Oak Single Pedestal Dressing Table / office desk is suitable for any room made from 100 % solid oak with a light lacquer finish and manufactured using traditional dovetail joints to drawers with solid drawer bases and rear panels. 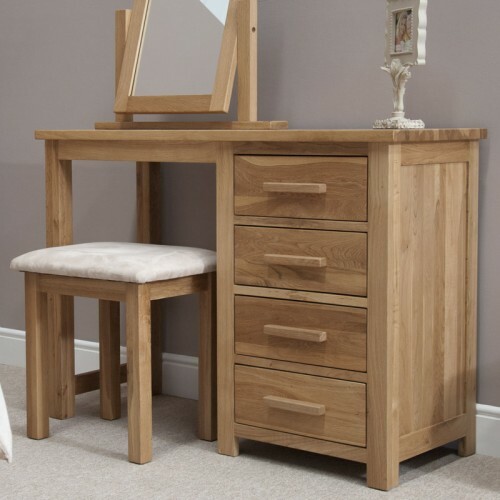 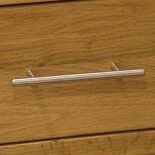 Opus oak furniture has a modern classic design which includes chrome handles fitted as standard but can also be available with wooden bar handles if a more traditional look is required. 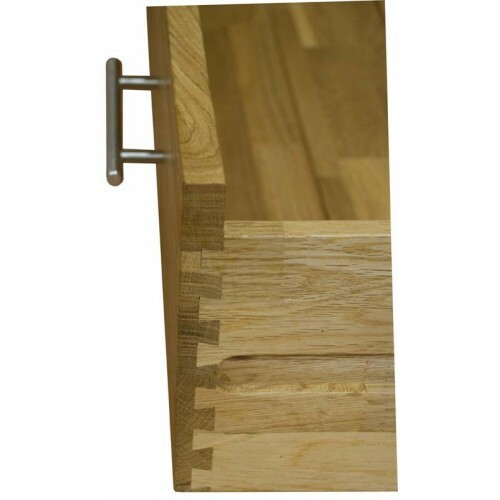 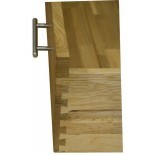 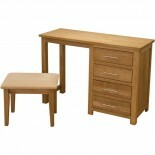 Opus oak is our most cost effective range of solid oak furniture. 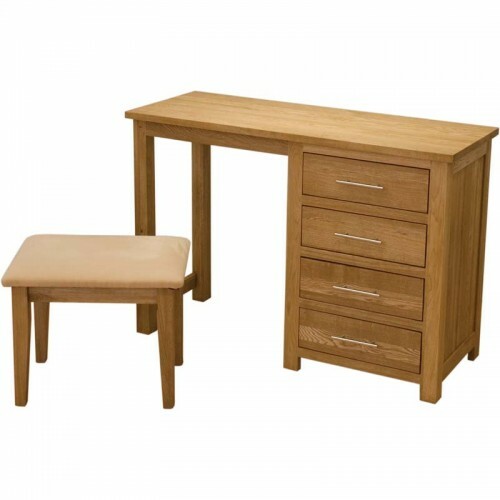 The opus oak range includes furniture for the bedroom, office, living room and dining room and is delivered ready assembled.